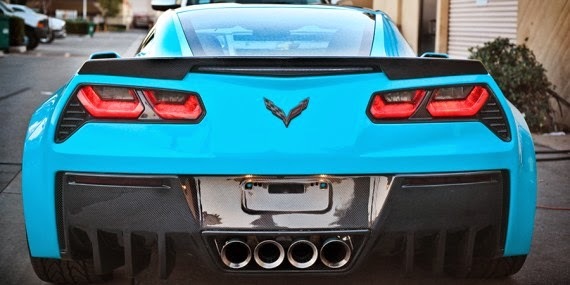 Revisiting the Famous Widebody Corvette C7 Stingray... plus the replicas. 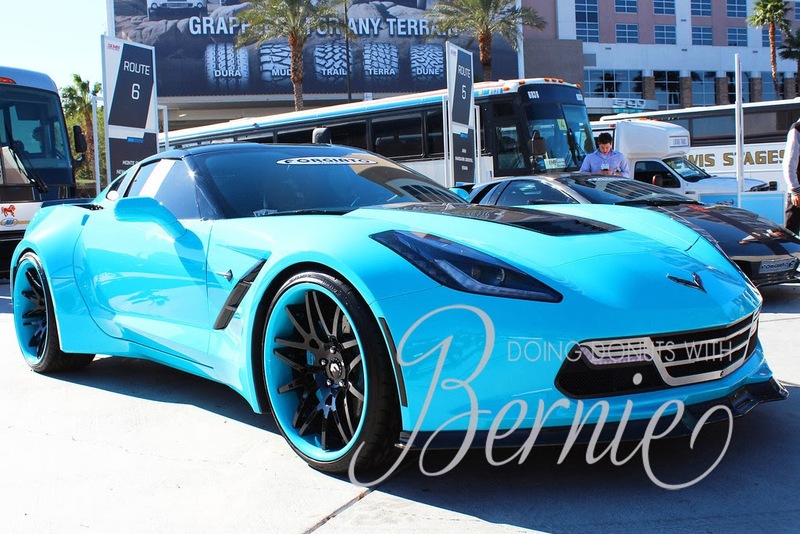 Whether you like it or not, this is the most famous 2014 Chevy Corvette around. But let's backtrack to get the entire story, shall we? At the 2013 New York International Auto Show, Chevrolet had the brillant idea to unveil the new Chevy Corvette and it instantly became popular. Five months later, Forgiato wheel company was plotting a way to take over SEMA. 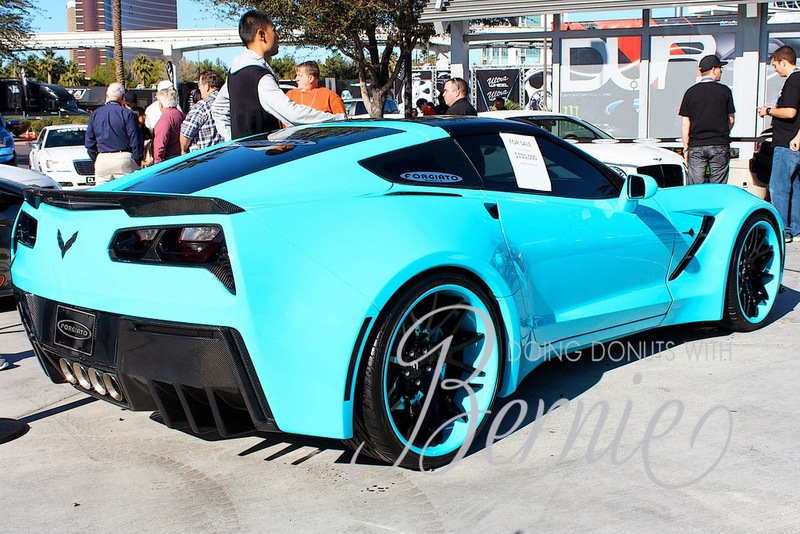 Combining forces with both TS Designs and JC Kustomz, they came up with a widebodied Corvette that almost had the power to make you forget what the factory Corvette looked like. Customizations include custom Forgiato grille, Forgiato Maglia-ECL Wheels (21" in the front, 22's in the back), wide body modification (2" in the front, 3" in the rear), custom chin spoiler, custom rear diffuser with a bunch of carbon fiber accents, and of course, the Aston Martin Blue paint. It's no surprise, but this widebodied Corvette won three awards at SEMA- the Dub Magazine Builder of the Year Award, the Gran Turismo Peoples Choice Award, and most importantly the GM Design Award. Plus, the original widebodied Corvette was sold at SEMA for a mere $150,000. So what do you do when the car you made was soooo popular? You'se make more. And so they did. Like the saying goes "If it ain't broke, don't fix it". But I'm anxious to see how Topo is going to top this this one.